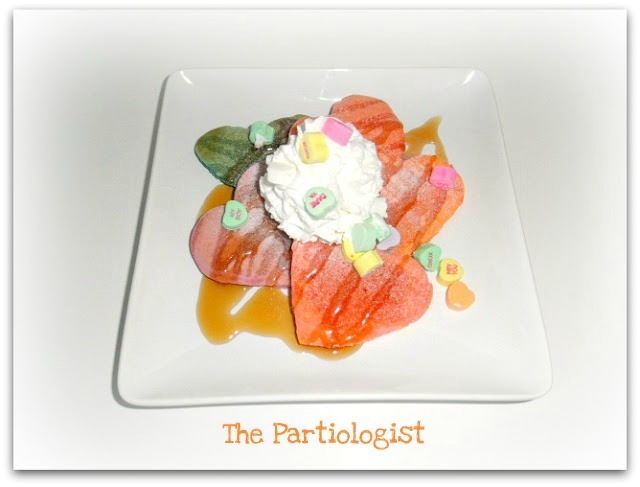 The Partiologist: Conversation Heart Party - Pancakes! 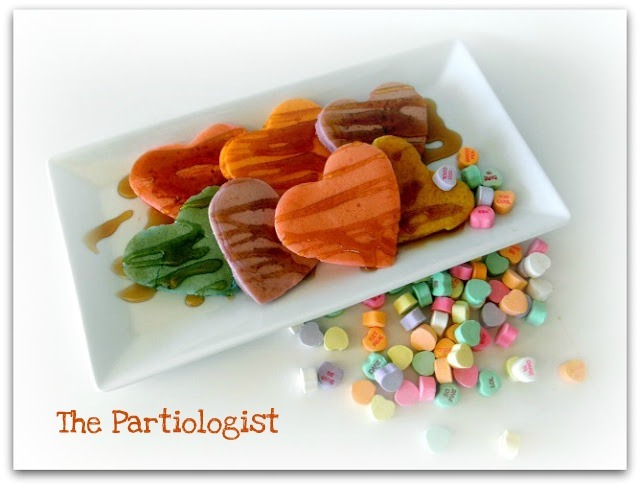 Conversation Heart Party - Pancakes! Here's a fun and sweet way to start the morning. Conversation Heart Pancakes! Started with very easy ingredients in case it didn't work. Did you even KNOW they made a pancake mix in a bottle? Yep, they do and I found it! After mixing, divide the batter into small bowls and add a drop of food color. I know they make pancake molds, but I used a small heart cookie cutter. Spray with Pam and use tongs to remove. Don't overfill or it will burn on the bottom before it is ready to be flipped. Ask me how I know? Remove the pancake and add the next color. Wash, rinse, repeat. Well, I didn't exactly use these for the party, but I wanted to see how they would turn out. And after experimenting, I thought they were kind of fun and I'm all about fun! Cute idea! My granddaughter would LOVE these! Pancakes are one of her favorite things and this would be such a fun valentine's day morning surprise! Thanks for all your fun ideas! I hope Maxwell likes them too! Adorable! I'm so excited for this series! Did you see my Spanish convo hearts?! I'll put them on Flickr for ya! This is such a cute idea!! I love heart pancakes and I love colors so this is perfect!! !